WELLINGTON, New Zealand (AP) — New Zealand named an unchanged lineup for Saturday's second rugby test against France after winning last weekend's first test 52-11, while France coach Jacques Brunel made five changes to his starting 15. The All Blacks showed some rustiness in the first half of the opening test at Eden Park in Auckland, trailing 11-8 at halftime, but ran away with the match by scoring seven tries and 44 unanswered points in the second half. Head coach Steve Hansen, who has the luxury of naming an unchanged side for the first time in three years, said Thursday that New Zealand's focus at the start of a new season was on building combinations. "As we have a big focus right now on developing our game and working on our skill sets, connections and combinations, it isn't beneficial to be making wholesale changes, if any at all, to the playing 23," Hansen said. "While we were really happy with the way we finished last weekend's test, we're fully aware that we still have a lot of work to do over the rest of the series." 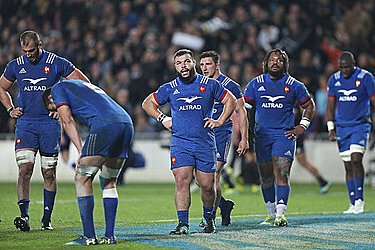 Hansen said he expected France to be highly competitive in Saturday's test at the Wellington regional stadium. For France, Benjamin Fall will play at fullback in place of Maxime Medard, Gael Fickou replaces the injured Remy Grosso on the left wing, Bernard Le Roux takes over at lock from Paul Gabrillagues and Kelian Galletier and Mathieu Babillot move into the back row in place of Judicael Cancoriet and Fabien Sanconnie. Galletier and Fall played for Montpelier and Babillot played for Castres in the French Top 14 club final last weekend, making them unavailable for the first test. 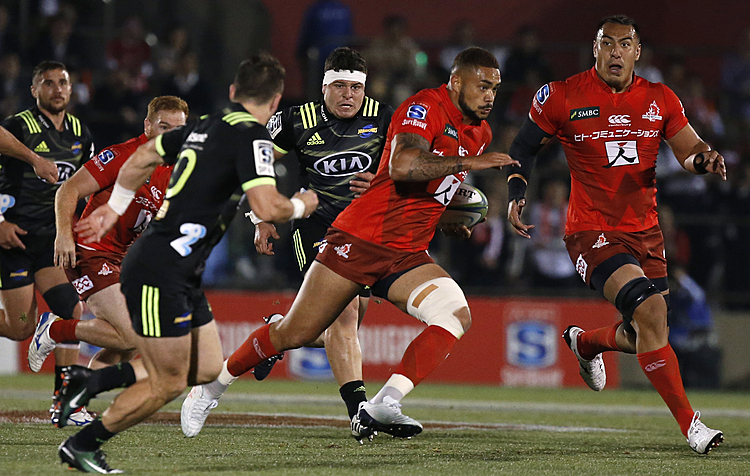 Babillot's selection causes Kevin Gourdon to move from flanker to No. 8. Grosso, who was France's only try-scorer in the first test, suffered a double fracture of the cheekbone when pinioned in a tackle by All Blacks flanker Sam Cane and prop Ufa Tu'ungafasi. He has returned to France while Tu'ungafasi has been issued with an official warning by World Rugby for his part in the tackle.